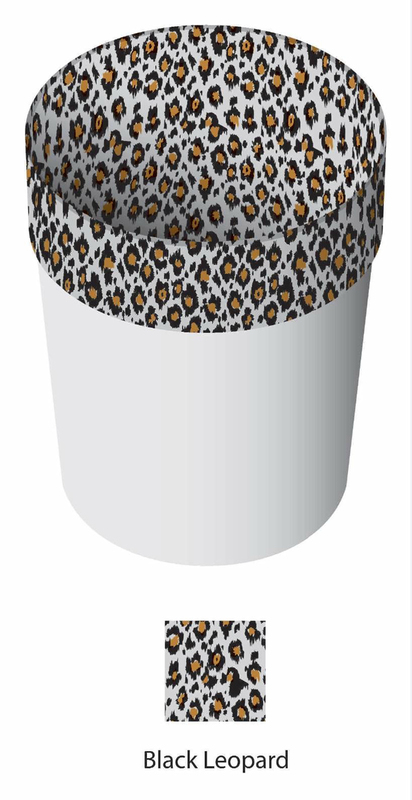 You've never seen a trash bag this stylish! Designerliners are decorative, disposable, reusable, biodegradable and made in the USA! I received the Black Leopard Designerliners and they are wonderful! Once I got over how cute they were I noticed that they were also durable and functional. In fact, I was able to use one bag several times before having to throw it away. The bags are packaged with the design on the inside which allows you to easily insert the bag into the trash can and when you fold it over the top --- you see the delightful design! 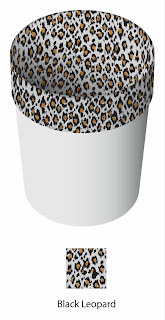 Now I don't feel like I have to hide the trash cans because now they look cool and decorative! Designerliners come in 12-pack packages and can be purchased online at eBay, Amazon, designerliners.com and Alice.com. The suggested retail price is $9.95 per package but discounts are often available for added savings. Designerliners --- Dress the Mess! I love the blue leopard print. they're all so cute, but my favorite is the black leopard. I would use them in my bathroom and bedroom.